Did you ever want to turn your pet into a cartoon? Software available today makes it easy and fun. Check out the photo above which was lightly edited in Photoshop, and then had a ToonIt! filter by Digital Anarchy applied. Instant cartoon kitty! The ToonIt filter has numerous choices available and can be finely controlled. It’s especially nice since once installed it’s directly available within the Photoshop software. There are also now cartoon apps available for smart phones and the iPad. Here’s a photo of Gracie after her recent bath, “tooned” on the iPad with the ToonCamFree app. And here is another sample from ToonCamera. This iPad app is especially nice in that it gives you numerous filter choices. And within each filter choice, you can increase/decrease the amount of “tooning” applied. There are also numerous options for saving and sharing. I did pull this photo into Photoshop to add the speech balloon/text; these are not available in ToonCamera. 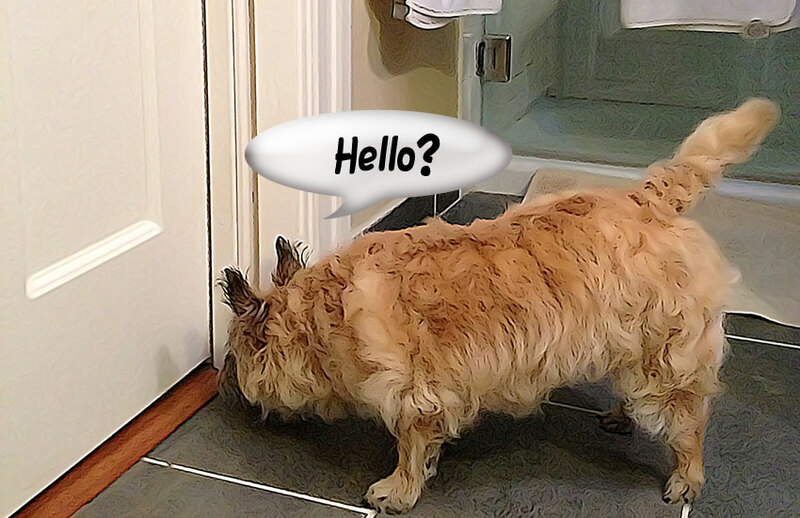 Here is a website with information for adding speech balloons and text to Photoshop. And if you are really industrious, here are instructions for “free-hand” creation of cartoon effects in Photoshop. Have patience, though, because although these instructions work beautifully, it will take 1-2 hours to complete just one photo using this method. I don’t know about you, but the quick options available now definitely make cartooning a lot easier! Do you use any software that you really like for creating cartoons? 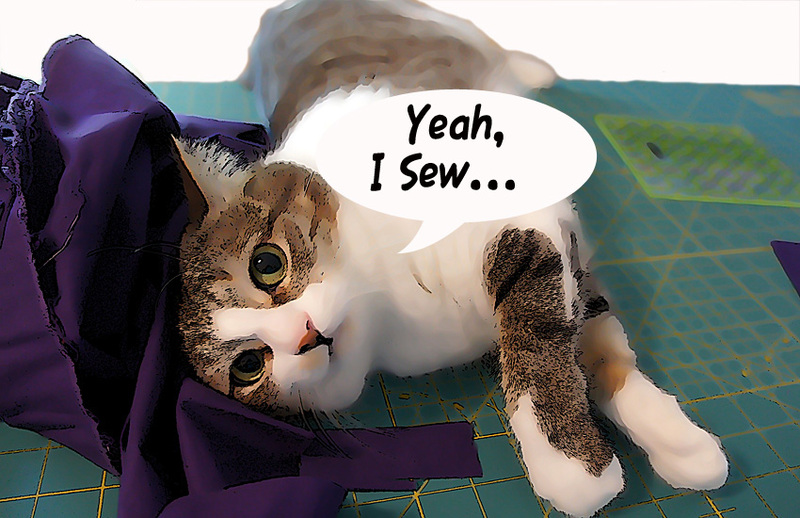 This entry was posted in Business, Etsy, Pets and tagged Cartoon, cat, Digital Anarchy, kitty, Sewing, Toon, ToonCam, ToonCamera, ToonIt. Bookmark the permalink. Oh those came out really nice! I don’t have photoshop and have to come up with other ways to do cool picture stuff. I found a nice cartoon-ifier on a website once – befunky.com. It’s not my favorite photo-editing website, but for cartoon photos it’s pretty cool. Hey I just checked out befunky. That’s a neat site! At $1.99 ToonCamera is a great app, and no photoshop is necessary, although a smart phone or iPad is needed to use it. Guess you would just need a second app to add the speech balloon and text. I do that a lot, though…use one photo app on my phone, edit and save and then open in another app to do different things, and then save again. Then if I want to use Photoshop later I can pull the photo from my photo stream. So many choices today! Oh, and ToonCamera takes video in toon format also!! Pretty cool. These applications don’t, but I looked online and it appears that Picasa 3.9 does now have new photo effects, including “posterize” and “comic book”. If you have an older version of Picasa installed on your computer, you probably want to upgrade to the newer version (still free) to get these added features. Good luck and I would love to see how some of your photos turn out!